The problem with most of the books written about Starbucks is they lack a caffeine jolt! Howard Behar’s book falls into this trap. Yes, it does contain some interesting (though few) new nuggets and to be fair you do feel the Starbucks passion coming through. 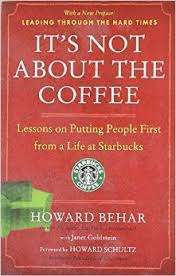 The best book on Starbucks continues to be Pour Your Heart Into It by Chairman Howard Schultz who essentially wrote about the same concepts as Behar, but in a more interesting and obviously personal manner. Behar takes the reader through ten business concepts, all of which make good sense but few of them are illustrated in anything but a general way. Combine this with multiple sub-concepts and you have a book that is interesting without being enthralling. Some of the concepts are downright trite e.g. celebrate failures, which he admits Starbucks doesn’t do either! Starbucks continues to do so many things well that it should be studied by anyone who really wants to understand Brand and Brand Building. Thus taking some of Behar’s ten concepts and implementing them in your business might well be worth trying. 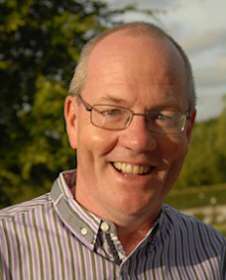 Conor Cunneen is a Chicago based business, motivational speaker, speech writer and coach whose goal is to improve People, Performance and Productivity. This accomplished Brand and Marketing speaker has his own Brand Promise of E4: Energize, Educate, Engage and Easy to work with. This happily exiled Irishman also happens to be a history buff, an inveterate reader and an award winning humorist speaker. As a Chicago based leadership and marketing keynote speaker and master of ceremonies, Conor’s clients range from Harley-Davidson to Helsinki, from Memphis to Madrid for this marketing brand speaker Chicago.